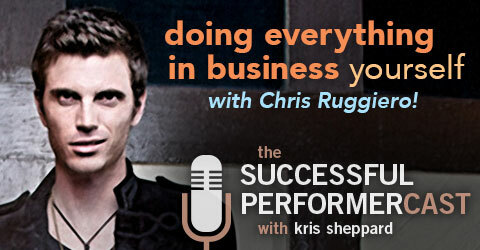 In this interview, juggler Chris Ruggiero talks about going after your dreams and the pros and cons of doing everything in your business yourself. Chris is a juggler, magician, and general daredevil who stays busy traveling the country performing his show where nothing is off limits! He’s recently been seen on The Ellen DeGeneres show, has published a book on following your dreams entitled Just Go, and a man of my own heart, he also has a podcast where he interviews other entertainers he’s met in his adventures! Plus, he gives the most exuberant high fives I’ve ever seen! 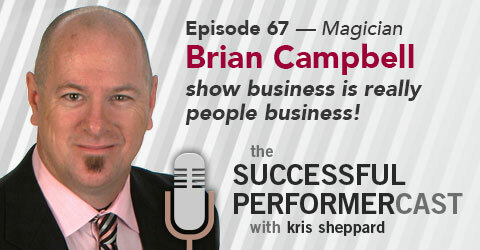 S6E7: Brian Campbell — Show Business is Really People Business! Brian Campbell shares some great practical business advice especially when it comes to navigating relationships. 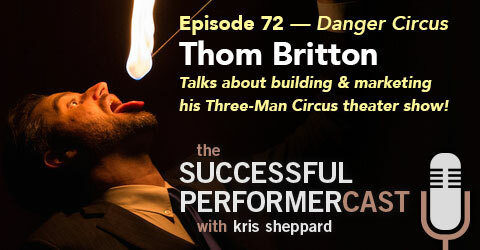 After all, if you’re in show business, you’re really in people business. 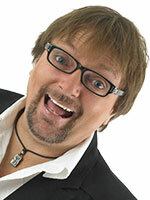 Brian is a professional magician, trade show presenter, and hypnotist and has been for over 25 years. In fact, he’s performed magic for over a million people face to face. 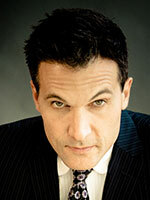 He’s worked everything from private parties, restaurants, and corporate events and for many years even managed other restaurant magicians, one of his biggest clients being Dave & Busters. 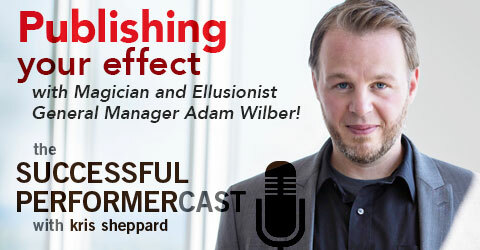 Today much of his work comes from corporate and trade show work where he and the Amazing Allison, his wife and past guest on the show consistently draw the largest crowds to clients booths. Fortune 500 clients have included Cisco, Microsoft, Johnson & Johnson, Pepsi, Frito Lay and the Anaheim Angels. In this interview, singer/songwriter Julia Othmer talks about her career as a musician as well as her experience with her successful (and over-funded Kickstarter) campaign! Julia has been captivating audiences for the past decade with her energetic performances. 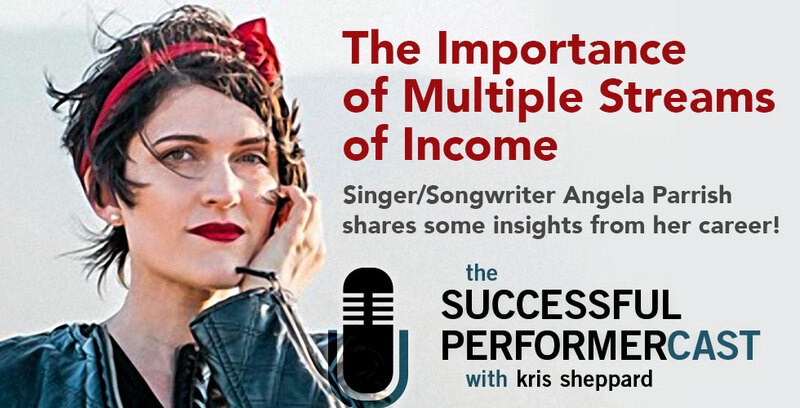 She’s shared the stage at the Lilith Faire Tour with the likes of Sarah McLachlan, Emmylou Harris, Heart, and Ingrid Michaelson, and shared the stage with artists like Regina Spektor, Amos Lee, and John Waite. She’s won numerous awards for her songwriting including several Honorable Mentions at the Billboard World Song Contest, Semifinalist at the International Songwriting Competition, and Runner-Up at the Singer/Songwriter Awards. You may have heard one of her songs featured on TV on shows like Witches of East End, Switched at Birth, The Lying Game, Army Wives, Party of Five, or DeGrassi: The Next Generation. Be sure to check out her critically acclaimed album Oasis Motel as well as keep your eyes peeled for her followup album nearing it’s release very soon! Tony Clark is a world class performer who travels the world performing magic and producing shows.He’s appeared countless times on television, has worked with the likes of John Malkovitch and Nicholas Cage while consulting for film and TV, and is the recipient of many magic awards including “Magician of the Year,” given by the International Magicians Society. 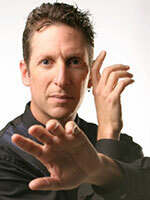 He also lectures teaching on all areas of magic, and manufactures products for professional magicians everywhere. 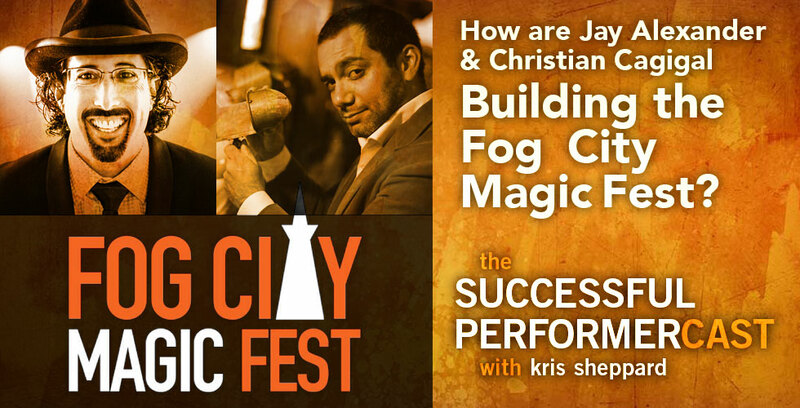 If this guy doesn’t know what he’s talking about when it comes to magic and business, I have no idea who does!